What a great ad! Next stop, Venus! 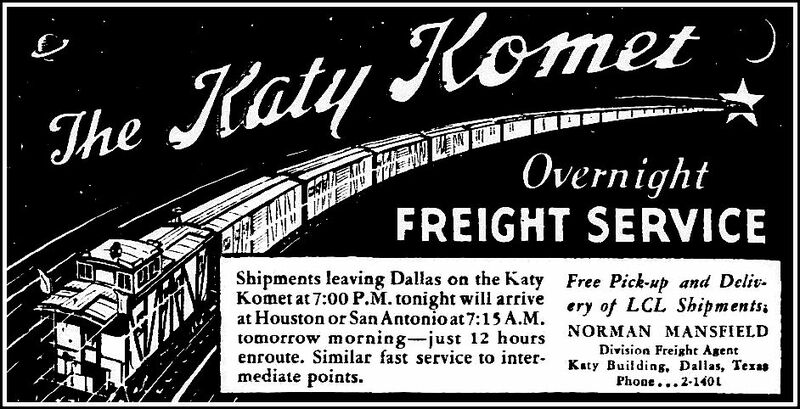 This Katy Komet overnight freight service ad appeared in the The Dallas Morning News on March 17, 1933. Click for bigger, BETTER image!